Mason Collective drop new 3-track Mazzina EP on Sanity. Fresh from the release of their Wifey EP on their very own WHIPPIN label, UK production trio Mason Collective have unveiled their brand new release, Mazzina, an eclectic 2-track showcase of their rumbling tech-house sound. Featuring the floor-thumping Mazzina, a tribal-influenced anthem led by early Balearic sounds, the EP also includes the powerful kickdrums of Space 9 . With the latter subject of a special rework from Secondcity , the Chicago-raised producer laces his own mix with a tightly wound percussive loop to create a record primed for after-hours dancefloors worldwide. Headed by Blair Suarez, Adam Mase Milo Myles and Omar Guedar, Mason Collective have developed their own signature brand of high tempo, high energy grooves and drawn strong attention in the underground music scene with their explosive DJ sets. 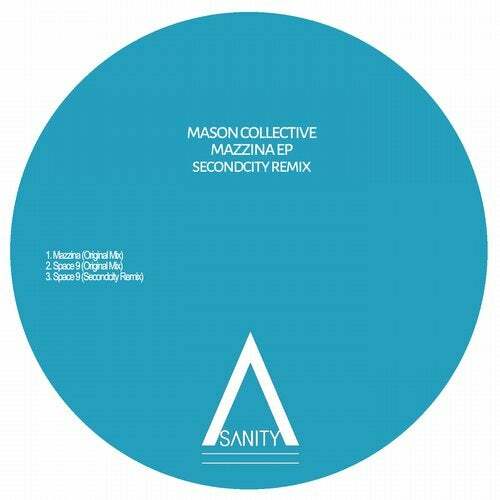 With 2019 further solidifying their rapid rise, Mason Collectiv e continue to power their way through the industry, recognised globally as an established dance music force, with the Mazzina EP set for release on 22nd March.